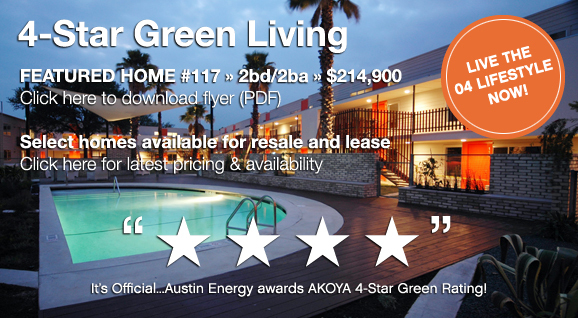 Find your new life, create balance and reinvent your style in a truly unique Austin living space. This progressive project centered in the vibrant South Lamar District is unlike any other. Known for their distinctive style, Michael Hsu Architects has carefully designed each home to architecturally respect the surrounding environment and site. Inventive common areas like the AKOYA Courtyard and outdoor cooking area help redefine what urban living should feel like. *Unit 117 is a resale unit that is exclusively marketed by DEN Property Group LLC.